7 x Type 3/2 (3 beds + 2 extra beds), 5 x Type 2/2 (2 beds + 2 extra beds), 10 x Type 2/1 (2 beds + 1 extra bed) - all with bathroom, TV-SAT and balcony and 4 x Type C (3x3 beds + 1x5 beds) on the lower ground floor - 2 showers and 2 toilets in corridor. 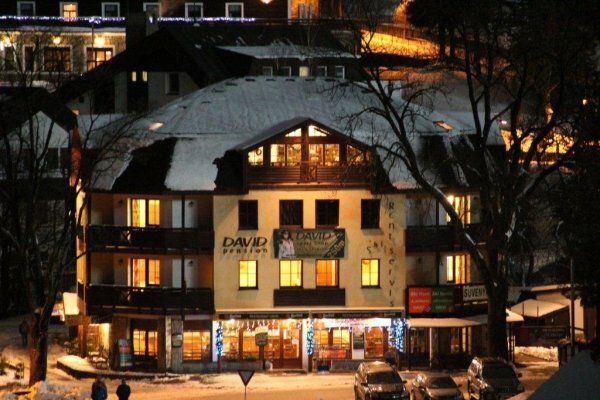 David hotel is located in the ski center of Harrachov, 50 m from downhill ski runs with chairlift to the Devil's Mountain and cross-country skiing tracks. Excellent location of the hotel directly at the ski area enables beautiful views of the ski jumps. 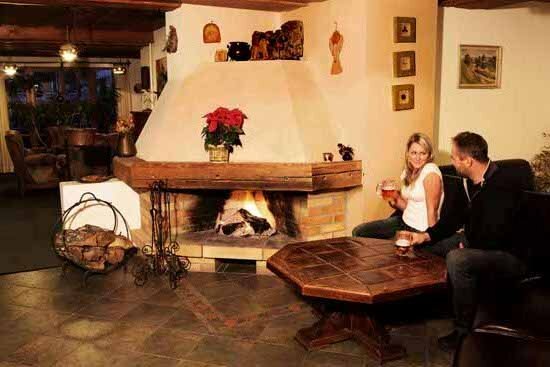 Restaurant, reception, exchange office, lounge with fireplace and pool table, equipped kitchen, dining room, 2 terraces, ski and bicycle storage room, WI-FI, ski rental and ski service, parking and wellness (swimming pool, whirlpool, saunas and solarium). The hotel has 22 comfortably furnished rooms available: 7 triple rooms type 3/2, 5 double rooms type 2/2, 10 double rooms type 2/1. 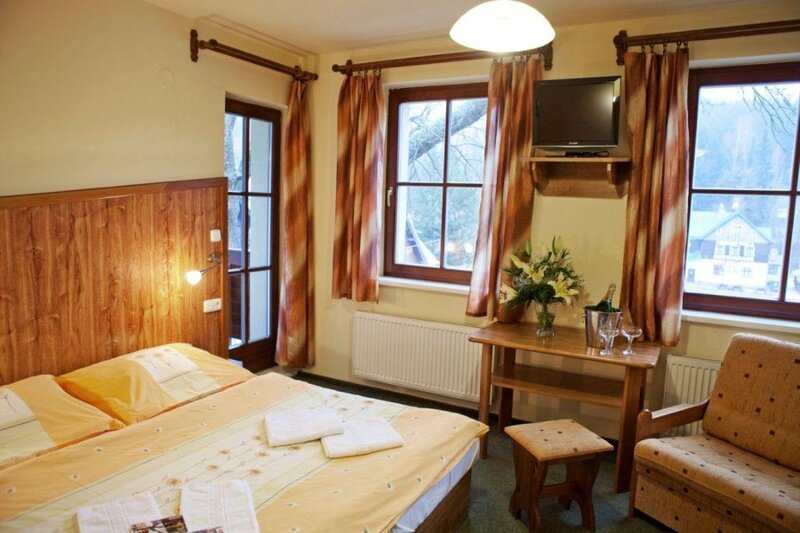 All rooms have private bathroom, TV-SAT and balcony. We also have 4 rooms type C available on the lower ground floor. There are 2 showers and 2 toilets, separate for ladies and gentlemen, in the corridor. The house is suitable for individual recreation, for family holidays with children, seniors or for corporate meetings and trainings.